Much is unknown about the foreign policy positions of the two contenders for next year’s general election. Narendra Modi, chief minister of Gujarat and likely prime ministerial candidate for the Bharatiya Janata Party (BJP) in the general election next year, would seem in virtually every respect to be poles apart from his potential rival, Rahul Gandhi of the Congress party. For one thing, Modi is an experienced administrator, while Gandhi has had virtually no time in administrative roles. Moreover, while Modi seems enthusiastic about contesting the election, Gandhi is ambiguous at best. And while Modi is an adept orator, Gandhi often struggles in front of an audience. Yet if there is one similarity between the two, it is that neither seems strong in the realm of foreign policy. For Modi, foreign policy appears to be influenced by trade and economic ties with the outside world. As Gujarat chief minister, he has led delegations to China (where he received a very warm reception) and Japan. While the EU may have distanced itself from Modi in the aftermath of the 2002 Gujarat riots, it has begun to reach out. The U.S. is also warming to him. Although Washington withheld a visa from Modi in 2005, numerous U.S. business and political delegations have since visited Gujarat. Now, U.S. political figures and even former U.S. Ambassador to India, Robert Blackwill have spoken in favor of granting a visa to Modi and engaging. Strong Gujarati lobbies in both the U.K. and the U.S. have been helpful in thawing relations. Pakistan could be more complex for Modi, for a number of reasons. First, many Pakistanis see him as the villain of the 2002 violence. Second, Modi is often quite shrill on the topic of Pakistan – perhaps because it appeals to large sections of his support base. Still, he has met with delegations from Karachi, the capital of the Sindh province that borders Gujarat. Many observers think that in power, Modi would be pragmatic and forced to seek closer economic ties with Pakistan. Too many allies of the BJP, especially those from border states, are keen on stronger business links. 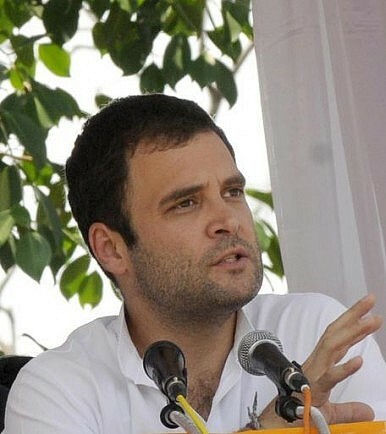 Rahul Gandhi is even more of a foreign policy enigma. This is somewhat unusual, because Congress under former prime ministers Jawaharlal Nehru, Lal Bahadur Shastri, P.V. Narasimha Rao and incumbent Manmohan Singh has traditionally given high priority to international affairs and India’s position on the world stage. Certainly, once in power, Gandhi would be able to call on the collective wisdom of a battery of experienced advisors, while benefiting from the fresh ideas of some promising younger party members, but he will still need to set the direction. This will be especially critical in the case of sensitive relationships, such as those with neighbors Bangladesh and Pakistan. If he is serious about becoming prime minister, then, Gandhi will need to share his worldview with the nation. Tridivesh Singh is a New Delhi-based policy analyst.